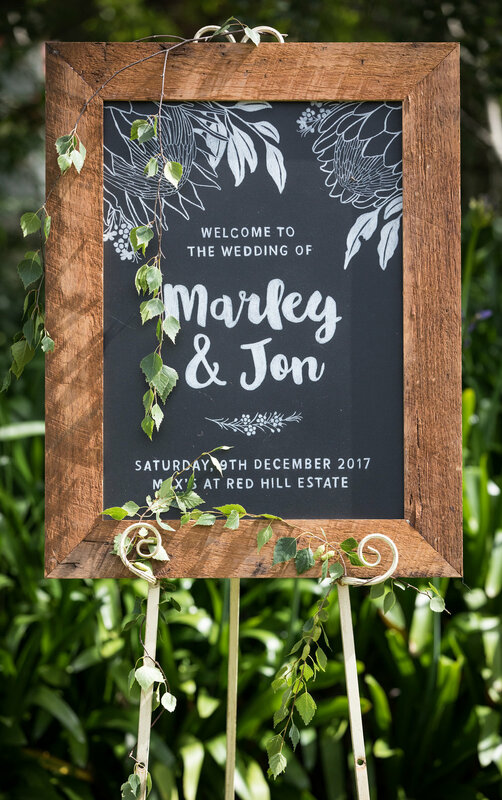 A pair of custom A2 wedding chalkboards for Marley and Jon who tied the knot at Max’s Restaurant in Red Hill at the end of last year. Native florals to match their wedding stationery which we also had the honour of creating utilising the Protea Obsession design from our Love Carli Collection. 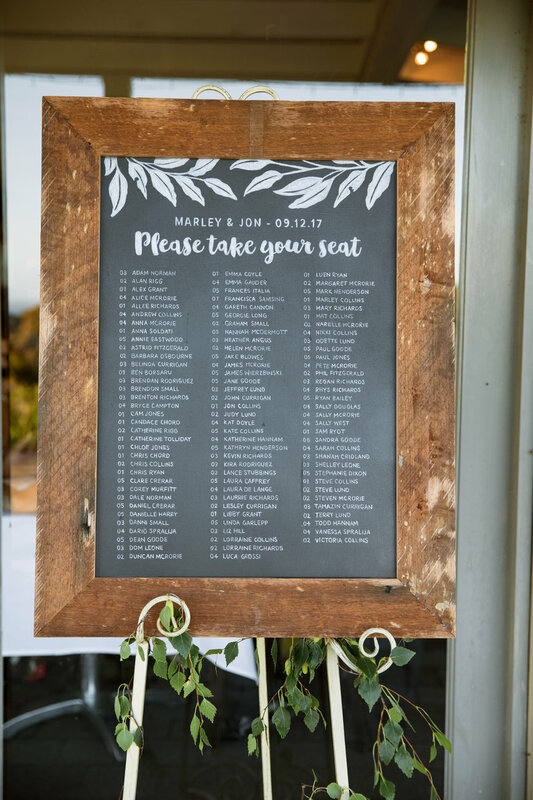 and a 110 name seating chart all lovingly hand drawn and framed with our signature recycled timber frame. Thanks so much to Jayne from Bright Eyes Photography for these photos. All of our chalkboards are custom-designed and hand drawn using a wax pencil then sealed with a varnish, so the design does not smudge or rub off, meaning you can keep them for years to come. 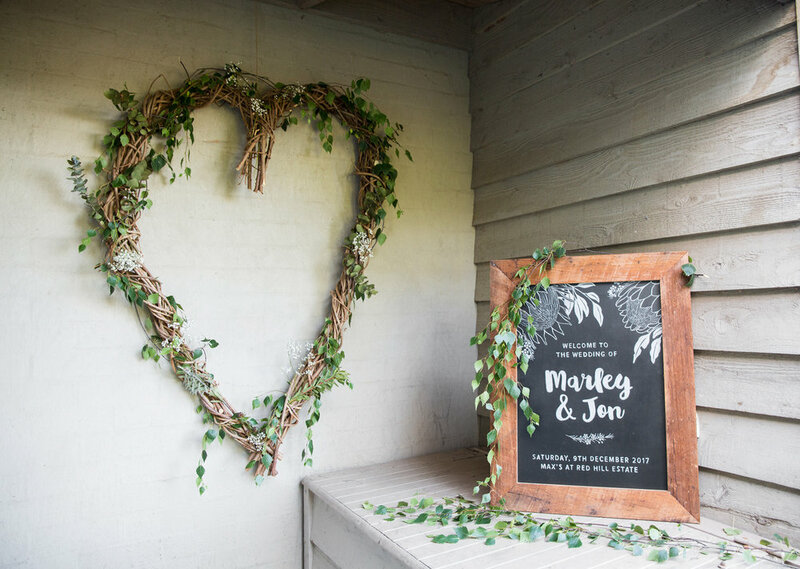 If you would like to discuss any custom chalkboard signage needs for your wedding day or special event, please get in touch!